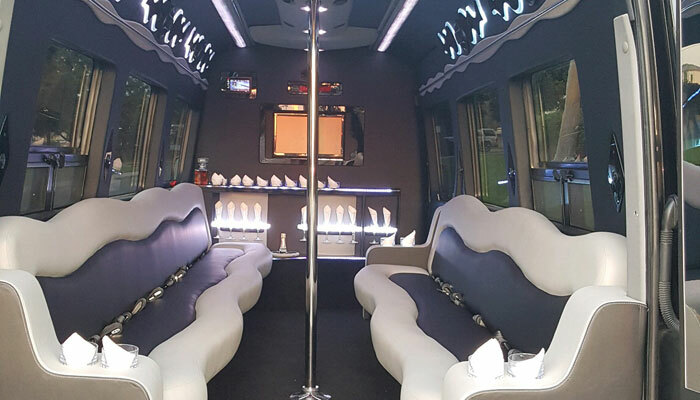 Our custom-built Mercedes Benz Sprinter Limo Bus is the perfect blend of size and style. 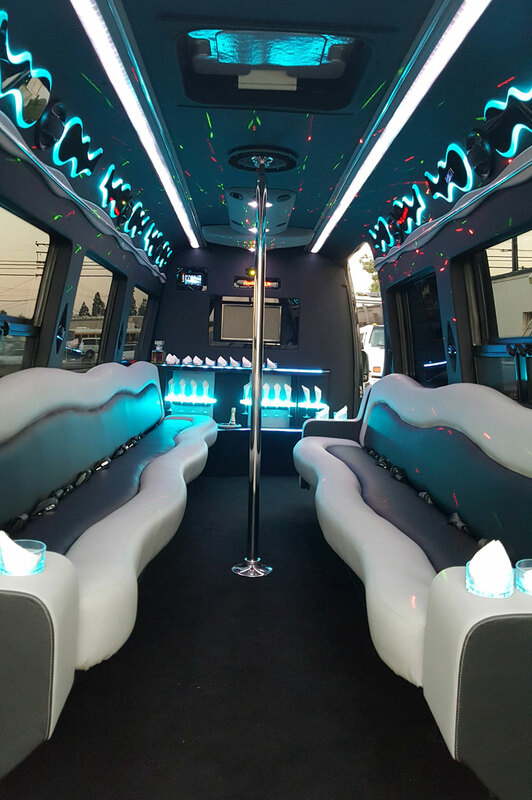 It has all of the elegance and fun features you’d find in traditional stretch limousine but it’s shorter than a party bus – making it just right for your party and your budget. 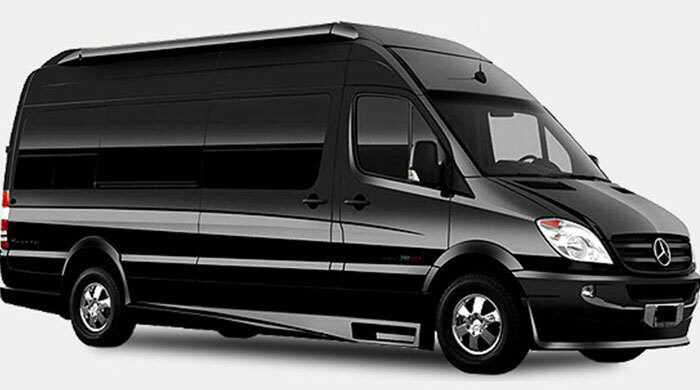 The Mercedes Sprinter Van is great for every occasion and the perfect fit for groups like large wedding parties, small bachelorette parties, or the squad of friends going to prom and winter formal. The interior ceiling is much higher than a traditional limo. There’s plenty of room to stand up, dance, or wave your hands in the air when your favorite jam comes on. The step-up is considerably less than a traditional party bus—great for mobility impaired passengers! Face-to-face bench seating lets guests chat without yelling, easily snap selfies, and keep things close and personal. *Extra charges may be applied for custom beverage requests. 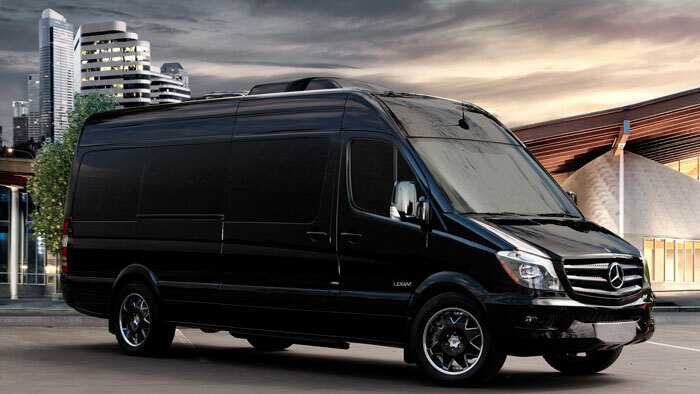 Why Rent the Luxury Sprinter Van? Most limo rental companies in Southern California offer traditional limousines and party buses. You either get luxury in a “small” package or something similar on a (much) bigger scale. That’s great if it fits your particular needs but we know one size does not fit all. 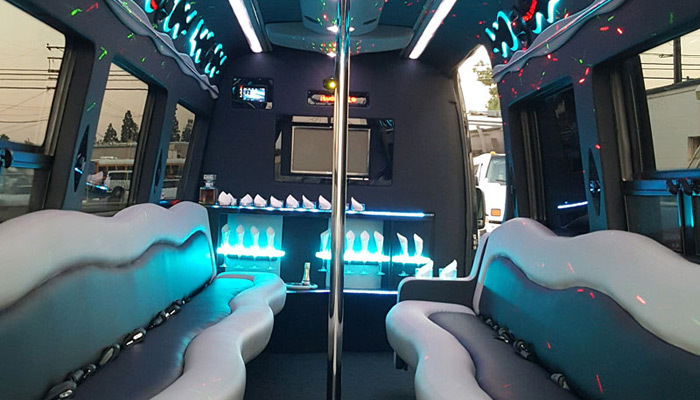 White Rose Limousine Inc. has been providing the best limo and party bus rentals in Orange County, San Diego & Los Angeles for years and we’ve seen clients struggle to find that “middle ground.” They need something that’s the right size for their group and for their budget yet they don’t want to compromise on the quality, the luxury, or the amenities. Now they don’t have to! This luxurious “little” limo bus is the perfect solution. 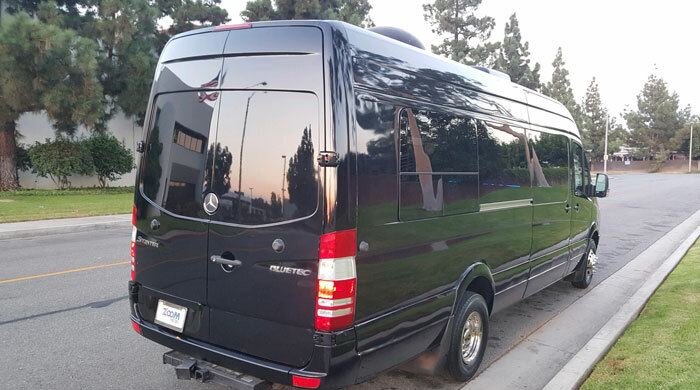 The Mercedes Sprinter Limo is big enough to hold groups of up to 16 people comfortably (with room to move and groove) but it’s small enough to keep guests intimately engaged (nobody gets lost at the back of the bus). Our professionally trained, fully vetted drivers get you to and from the party safely while you live it up with friends and family. Our doorstep service takes all the hassle of traffic, navigation, and parking off your shoulders so all you have to do is relax.